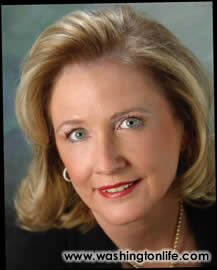 Penny is the #1 Weichert agent in America out of 13,000 agents. With over 25 years experience selling homes in Northern Virginia, Penny consistently sells well over $100 Million of residential real estate each year. Holding an MB:A, Bill joined Sotheby’s International Realty in New York in 1986, and then in 1989, earned the number one position as a first year licensee in 1989 with Pardoe Real Estate. He has since consistently maintained a reputation as one of the best in the industry. Licensed in Virginia, Washington, D.C. and Maryland, Mark specializes in the sale of upper bracket properties throughout the Washington Metropolitan area. Mark works with the area’s top CEOs and political leaders. His attention to detail, total discretion and negotiating skills contribute to his success as the Washington area’s premier realtor. 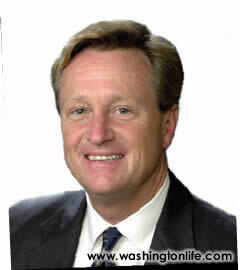 In 2005, Mark was the #1 Agent on the East Coast for Coldwell Banker. 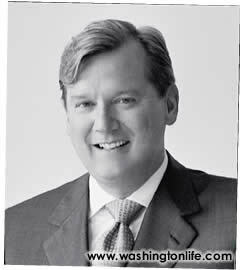 Mark has been a lawyer, politico and businessman in Washington for nearly three decades and publishes a growing series of electronic newsletters, including Real Estate Weekly, which features interviews with top Washington-area experts. 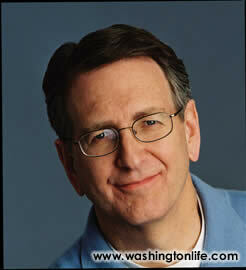 He also writes a column called “BizKnow,” a weekly personality column in the Washington Business Journal. It’s been a buyers market in recent months, but sellers can still get close to their asking price if they choose to educate themselves about the market and take a few words of advice. Top real estate agents Mark McFadden, Penny Yerks, and Bill Moody discuss the realities of the new market. Mark Bisnow: Is the real estate market slowing in the region? Interest rates are climbing, there seems to be some consumer edginess. What has changed since last November’s Real Estate Roundtable? Mark McFadden: As listing agents we are spending time acclimatizing sellers with pricing. Many are trying to sell their homes at last January prices in a May marketplace. The market has slowed down since January, and across the board, I think we would all agree that there has been a 5 to 15 percent property adjustment. Bill Moody: So do I.
MB:: What exactly do you mean by “property adjustment”? MM: It means a home in the McLean that we would have priced at $3 million in the first part of last year is now at a price closer to $2.75 million. MB:: Are you further advising sellers that they should hurry and sell because maybe in a few months you will be suggesting an even lesser price? PY: Mark McFadden and I have a co-listing together, and we have told the sellers that we would like them to position themselves for the new market. In order to get the property sold, we want their house to be the top house, the best priced house, that shows well. PY: Some will listen to you and trust you while others insist on pricing it where they want and seeing where the market takes them. MM: While others will list with an agent who tells them what they want to hear, and then let the house sit for three or four months before they finally come to us to price it properly. BM: I think that the market has done most of its adjusting, so I’m not encouraging people to urgently put their home on the market now. Unfortunately, too many people read press publications that talk about the bubble, and that encourages them to discount prices. MB:: Why has been a slowdown? BM: The reason the market is down a little bit is because basically, a year ago there were a lot more buyers than sellers. Then last January people who had to sell competed with sellers who didn’t want to sell but felt their neighbors were getting so much for their properties that it would be better to sell now than wait for two years. PY: The National Association of Realtors just came out with statistics that the inventory for single houses is up 225% and sales are down 26%. Condos are much worse, I think they are up 360%. BM: Scary, It’s a supply problem. MB:: Is there reality that is scary or is there just a threat? Yerks: I think it’s a threat right now and not a lot of people have come to the reality of what’s happening. MM: With the development in the condo market of Washington and North Arlington, there are going to be many projects coming online in the next three to six months, and that will create a huge flood of inventory. BM: And all the pre-construction buying is gone. Skipping the agent and going directly to the sales and marketing department is non-existent now. MB:: There will be a lot less speculative purchasing, especially in condos? BM: Yes, especially because the investors are gone and interest rates have gone up. Interest rates affect the condo market a lot. MM: A lot of investors who invested in March, April, May, June, and July are going to deliver over the next 6-8 months. Those investors are going to try and flip them. MB:: And if they can’t flip them what’s going to happen? BM: Rent them for write-offs. Right downtown at Pennsylvania and 25th, I bought a couple of condos pre-construction, and thought we were going to sell for $100,000 more than I paid, and now we can’t even get what we paid for them. MB:: And these are luxury high-end? BM: Luxury high-end, priced from $800,000 to $1 million. PY: If they can’t rent them, which is exactly what happened ten years ago, then they drop their price in order to get them sold. MB:: Is there going to be any parallel to previous experiences we’ve had? BM: No, the economy is too good. PY: Exactly, so we don’t think it’s going to be as bad as 15 years ago. We are expecting 80,000 new jobs so we are hoping that will offset problems. MM: In the high end market the key term is “specialty properties.” I don’t think that the specialty properties market will be affected at all. For example, I put a penthouse for sale at $4.5 million, last June. All of the agents asked me what kind of medication I was on? It’s taken a long time, but we just got a contract last week very close to asking price. I think the high-end market is still going to do well at every price range. McFadden: People with multiple residences who are going to be in Washington six months, and in Palm Beach six months, or people from overseas. MB:: Why are people from overseas suddenly deciding Washington is an interesting place? MM: They know it’s a very strong economy, and they’re bringing their businesses here. They want to open up offices in the U.S. and other regions. MB:: Are you seeing any bidding wars anymore, any instances where the price sold is higher than the asking price? BM: Most of the time there are two separate offers coming in from two different agents, both under the asking price. But a completely renovated ready to go urban 100-year old house is virtually non-existent and will sell at any price. It’s all about location and convenience. MB:: Are you seeing sales on average 8% lower than the asking price? PY: We’ve seen contracts come in $1 million under the asking price. MB:: Is it different in Virginia vs. D.C. at the $1 million levels vs. the $4 million level? BM: I am intrigued by Penny’s comment about $1 million under asking. In New York they’ve thought nothing of offering $2.5 million dollars on a $4.5 million listing. In Palm Beach and Beverly Hills it works the same way. But in Washington, either good manners or ego stop buyers from making an offer unless they think they’re really going to have that offer accepted. I had a property that started listing at $5.2 million, and then made two interim price reductions to $4.9 million, then to $4.4 million, and then it sold. I couldn’t get any offers, until someone felt that they could make an offer and have it accepted. MB:: Where as in New York and Beverly Hills, it’s sporting to lowball offers. BM: It’s OK to lose because all your friends lost too. It’s OK to be insulted because all of your friends have already been insulted. MB:: How about Maryland? Who has a sense of what’s happening there? MM: Inventory for what Bill calls “ready to go” high-end properties is low right now. Highend buyers coming into this market place, let’s say between $5 and $8 million, are looking at eight to twelve properties in D.C., Potomac, Bethesda and Mclean, Great Falls in Northern Virginia, in a two day weekend process and calibrating what is out there before they make a decision on something. Some of the sellers are putting their homes quietly on the market, meaning if they get their number they’ll sell. MB:: You mean no sign outside, no listing in the paper, no picture anywhere? MM: They’re pocket listings within the broker community. PY: That does not work well in Virginia, though. BM: We don’t encourage it. MB:: What is their hesitation, ego? “Most of the time there are two separate offers coming in from two different agents, both under the asking price. MM: Sometimes there is an ego factor and they don’t want the house to go on the market and fail. The problem is, it’s the worst way to sell a home because we can’t expose it to the general market, and word of mouth works occasionally but it’s not a very good option. PY: Well, they’re private people, and they assume that you have somebody in your hip pocket that can come and buy their home. They also don’t want to go through the hassle of putting it on the open market, and having everybody in their house. But it does not work that way. BM: I’ve sold three houses between November and January in that high-end price range, and the only reason I’ve been able to sell them recently, is because the owner was willing to price it right in the beginning, open his home to the market, and negotiate. He got 90 percent of the asking price. MB:: What is the cutoff price for the highhigh end properties? MM: I think $4 or $5 million and it has to be turnkey fabulous. PY: Anything over $4 million usually sits for a while and anything over $5 million is very hard to sell. BM: If they want it they’ll pay for it. It’s really all about the buyer’s perception of getting good value. MB:: What’s the turn around time for selling $2.5-$3.5 million homes? PY: If it’s priced correctly, you can sell it within the month. MB:: Looking at Potomac vs. Mclean vs. D.C., can you isolate some areas as being “hotter” than others at the moment? PY: Washington is hotter than Maryland or Virginia. BM: It’s not just about location, location, location but also convenience, convenience, convenience too. What I have found is that people want to simplify their lives. They want a quick walk to restaurants or a quick cab ride to work. MB:: Are they looking for a condo or a house? BM: They think they’re looking for a condo, but when they get there and realize the tradeoffs and the prices, they end up in a house. MB:: And what reduction in square footage are they willing to accept in order to fit in their new lives? BM: They think it’s going to be about a quarter but it usually comes down to being about half. MB:: If people are downsizing from Great Falls it is approximately fifty percent in size to come in to the District…, how much are they expecting to downsize in price? BM: They start at fifty, but they quickly change. MM: Once you educate the buyer and show them properties in the district then do they understand that it’s a lateral move. MB:: What specific properties do you have on the market right now that might be of particular interest? PY: I have a property on Crest Lane that is coming onto the market. It’s about $6.4 million. It’s decorated by Thomas Pheasant and has been in Architectural Digest. The amenities are phenomenal. Everything has been redone. There is a new kitchen and new bathrooms. It’s just spectacular. MB:: How about some other examples? 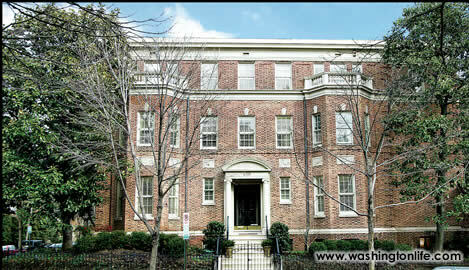 MM: We have a wonderful property for $7.2 million in Mclean. 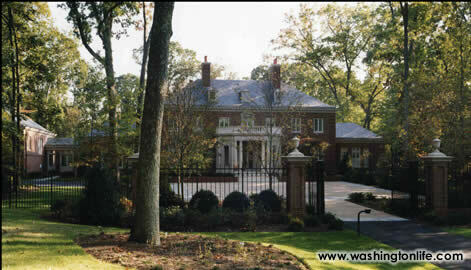 It’s on 4 plus acres and I think it’s the nicest home on the market in Mclean right now. It’s also decorated by Thomas Pheasant and has spectacular finishes throughout and beautiful grounds. We also have another great property of over 10 acres. It’s $12 million. 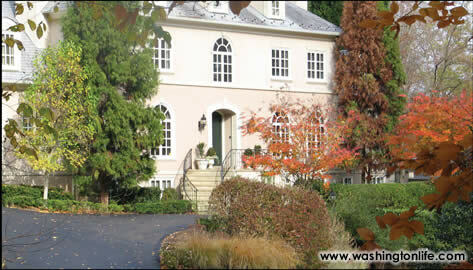 There are beautiful river views, a lot of Potomac frontage. BM: We’ve just been talking about convenience, so I’ll talk about a property I have in Georgetown at 31st street. It’s been completely restored. It greatly appeals to buyers who are coming in from the suburbs because it has a garage within the house, four walls and has fabulous vistas and light. There is a family room, a big kitchen, the garden is off of the private room, not the living room, and each bedroom has its own bath. This property overcomes all of the normal tradeoffs to an urban property. It’s priced at $5.5 million and it ready to go.